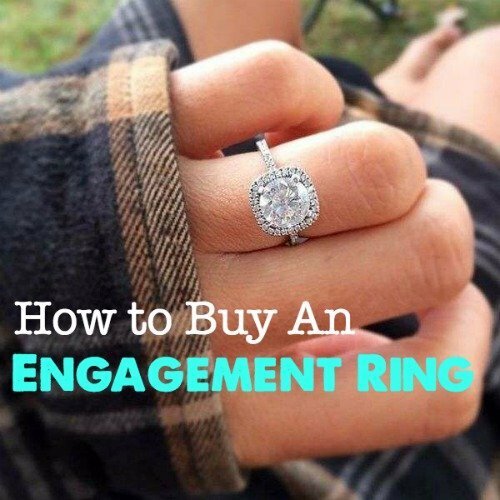 Your engagement ring will most likely be one of the largest purchases you’ll make (aside from a house or a car) as an almost married couple. And while your future spouse might be the one picking it out for you (or not…mine didn’t! ), the more you know what you like, the easier that purchase can be. 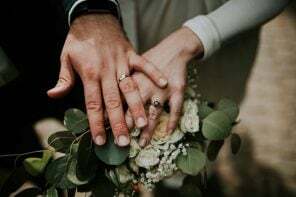 From the 4 C’s of diamond buying to trying to figure out what type of metal you want, all the information surrounding engagement rings and wedding bands can get overwhelming, and fast. 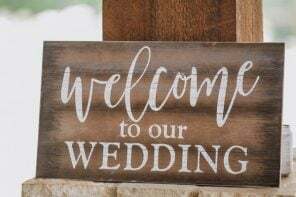 Sometimes the best way to explain all the information is with infographics, which we’re a big fan of for most things wedding related (including figuring out everything from how much wedding invitations cost to how much weddings cost in general). 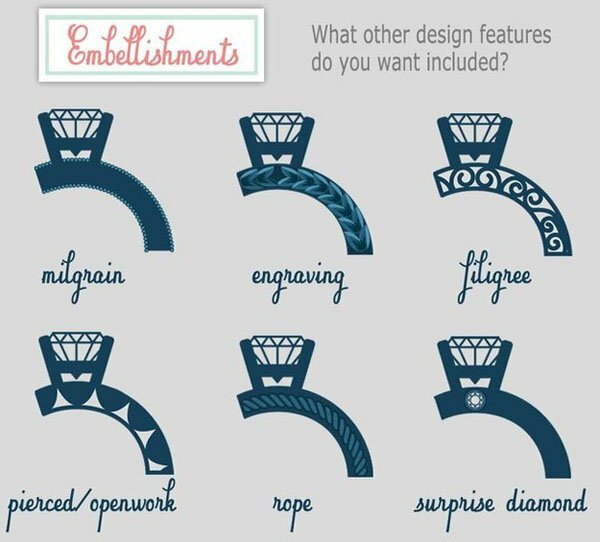 Below are a few of our favorite engagement ring infographics to help you navigate the diamond-studded waters. 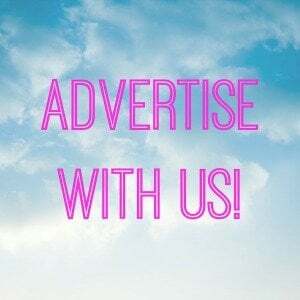 Looking for more content you can actually read? 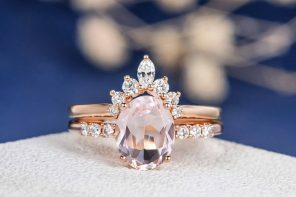 Check out our guide to Buying a Diamond Engagement Ring as well as everything you need to know about diamond alternatives such as Morganite and Tourmaline. 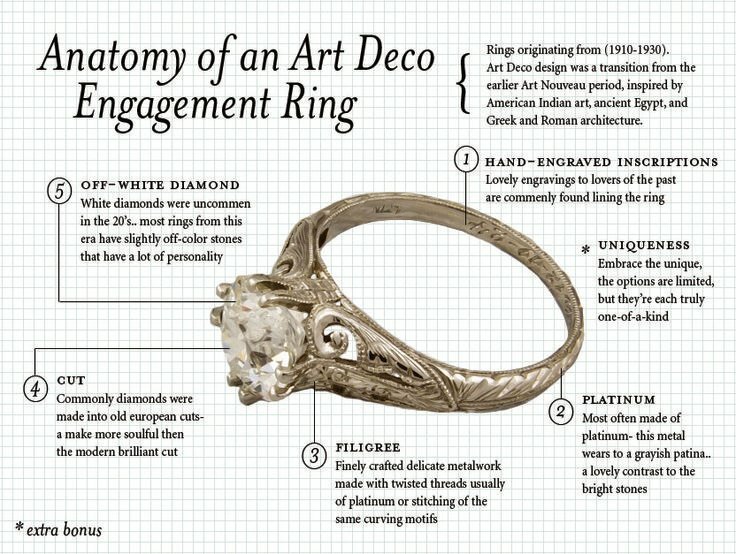 You can also figure out your Vintage Engagement Ring Style here, or drool over these Princess Cut Engagement Rings. First up? 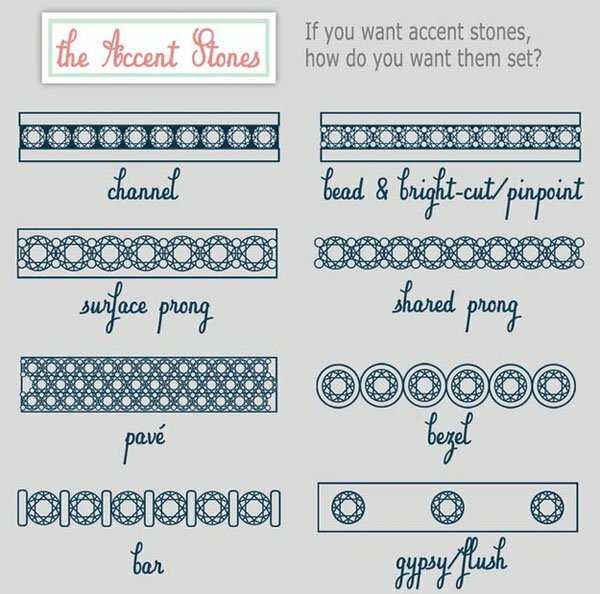 Figuring out what type of stone you want. 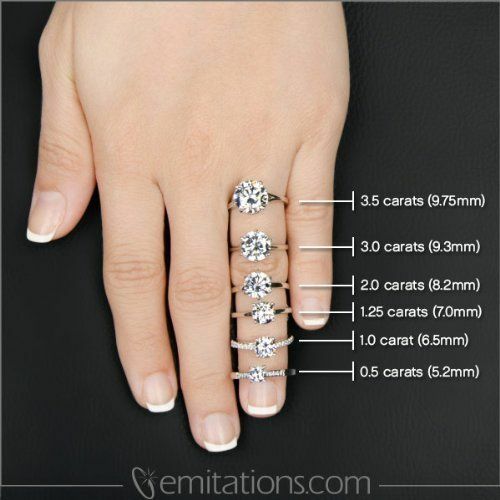 From diamonds to emeralds and diamond alternatives, there are a ton to choose from all at different price points. 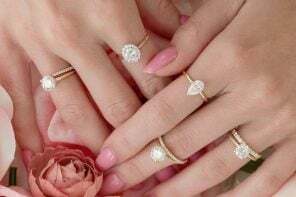 This pricing guide is basic but shows you the difference between diamonds and other popular gemstones’ price per carat. Once you figure out the stone you want, next is on to shape and style! Your metal choice IS important. I have White Gold and I’ll tell you that 5 years later, it’s starting to yellow on the bottom. It’s not visible, but it does bother me a bit and will most likely have to be replaced at some point. 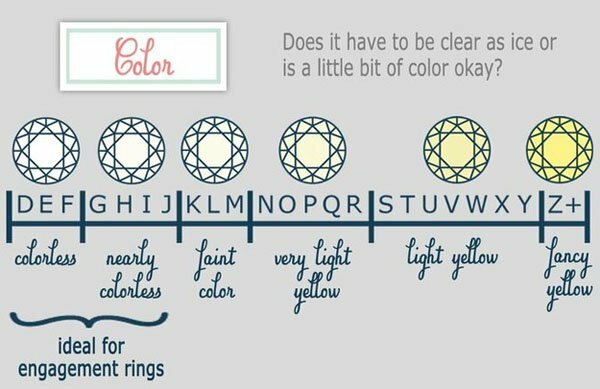 Color/clarity are extremely important when it comes to picking out your diamond (even more important than size). It should definitely be quality over quantity! Once you’ve got the color/clarity worked out, next is carats. Here’s some great visual guides as to what the different sizes might look like. 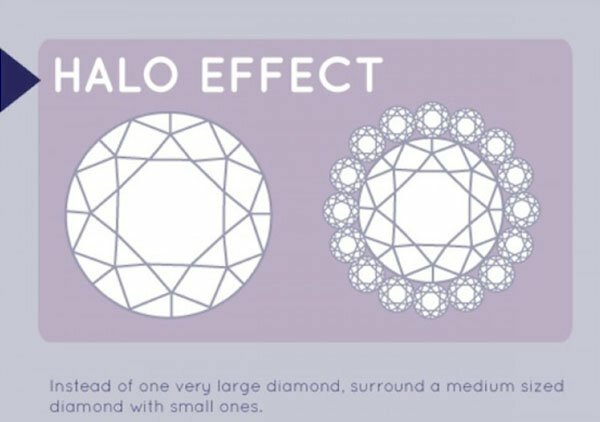 If you can’t afford the carat size you REALLY want, a halo effect will do wonders. 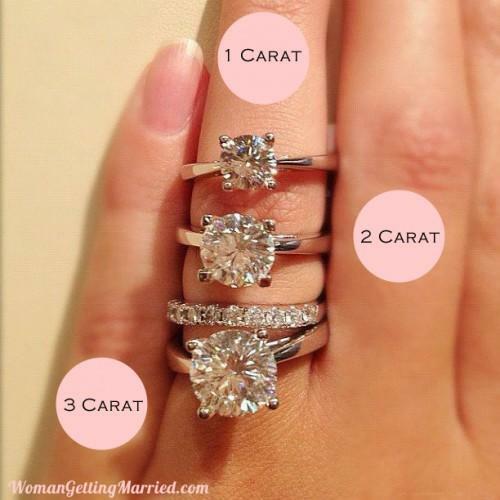 Trying to find out your ring size is hard! 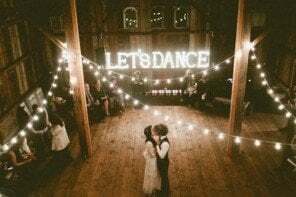 These tips might help. 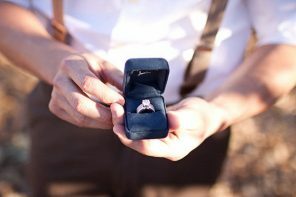 This guy’s guide on how to propose is fun to check out. 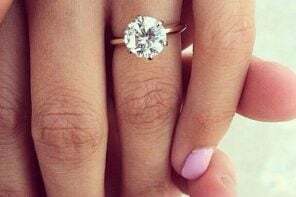 NOTE: The average cost of an engagement ring in the U.S. is closer to $6,000 (more than what is listed after you convert the pounds to dollars, below). 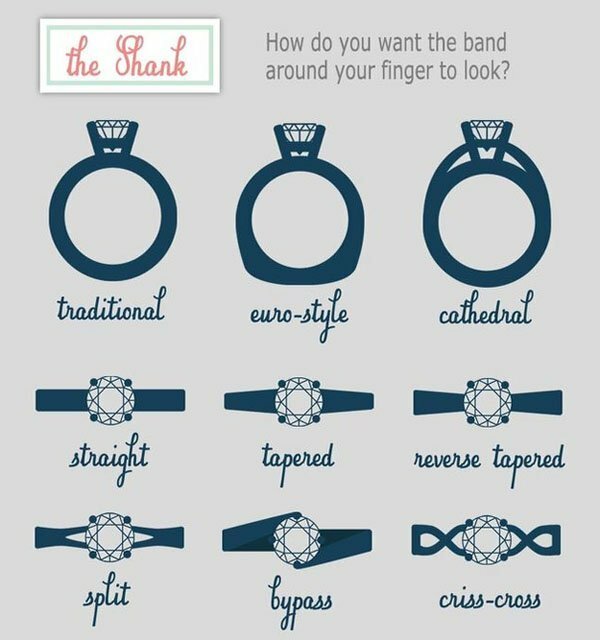 When you’re ready to help the groom pick out a wedding band, refer to this chart. I’ve been a jewelry designer for years professionally on staff. 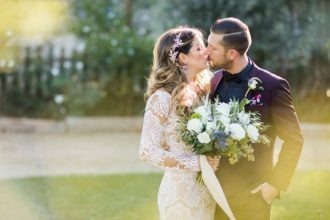 ( I now do silk floral and events) You don’t have to replace your white gold band! 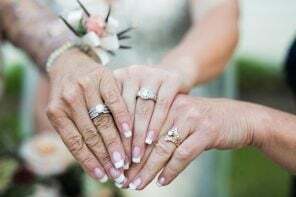 What makes it white, is Rhodium. 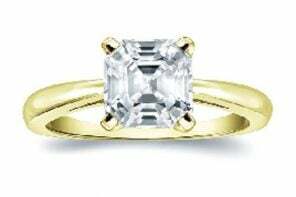 All white gold is plated with Rhodium, a very expensive metal. Go to a plating shop or jeweler and ask them to REPLATE your white gold piece- it is done with the stones in. 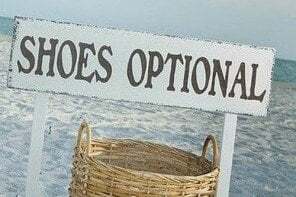 However make sure you leave with the very stones you came in with. You’ve provided so much great information! 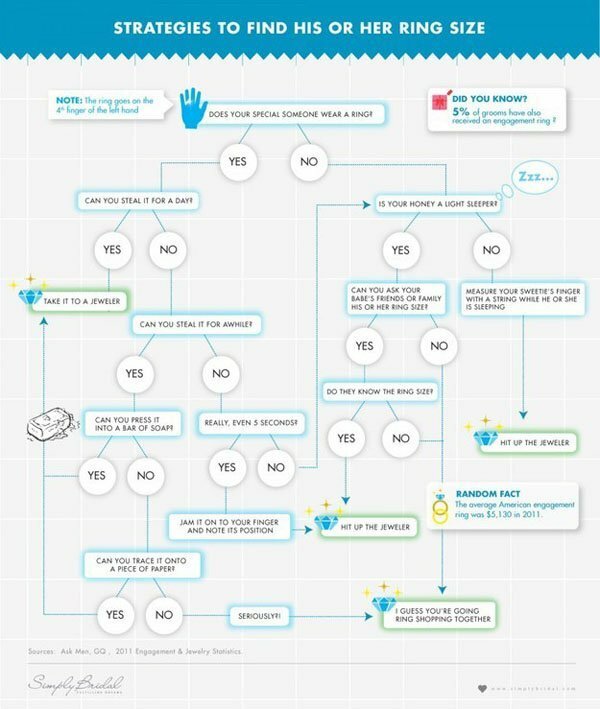 Anyone who is beginning their engagement ring hunt should definitely read through this guide first. 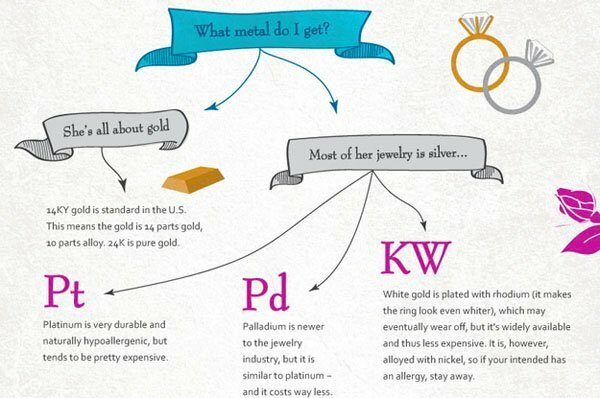 A fantastic engagement ring guide, found the info about the different types of metals so useful! Thanks for the awesome feedback, Liz! 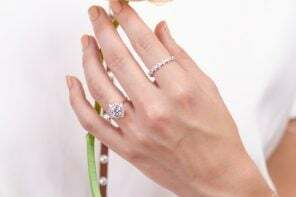 Of the diamond alternatives listed, both cubic zirconia and Swarovski crystal will not be durable enough to last a lifetime and will need to be replaced every few years (or more frequent depending on the wearer). 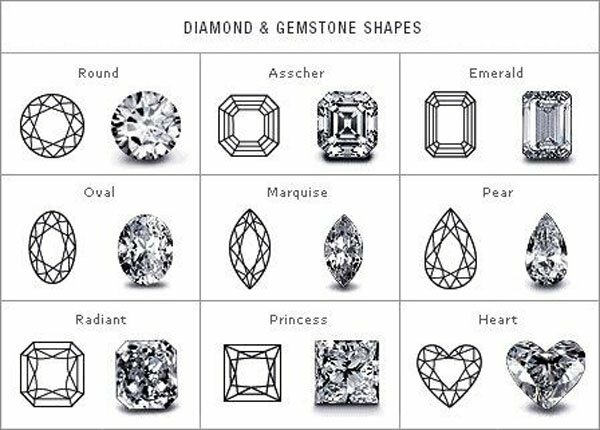 One of the reasons why diamonds are so popular and also expensive is due to their hardness and inability to be scratched. So, something to keep in mind. 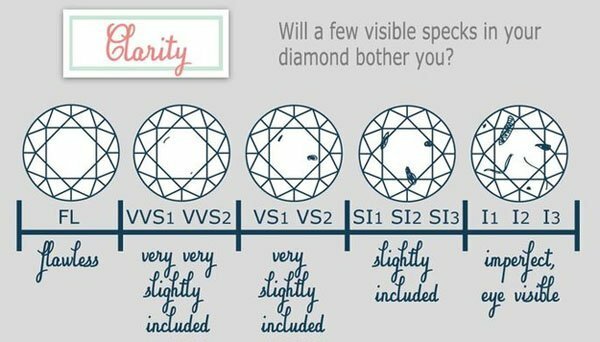 Also, color and clarity are considered rarity characteristics and NOT tied to the brilliance/fire and resulting scintillation or sparkle of a diamond. 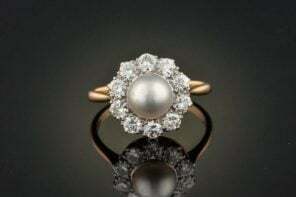 A diamond is known for it’s adamantine luster which comes from it’s high refractive index and also due to it’s hardness and how well it can be polished. 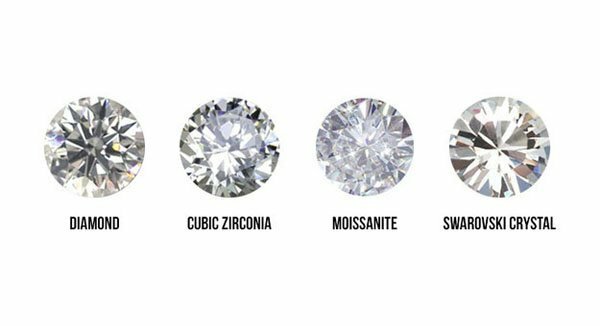 It is the CUT of a diamond that determines how well it will reflect light showing brilliance and sparkle; this goes for all shapes.